Every country has the right to protect themselves from harm. However, for most countries, the main task is to ensure the security of their country. Since then, the governments of all the countries came to the conclusion that there is a way to «put» on the wheel arms, they were trying to figure out how to create an ideal weapon to protect themselves. All this resulted in what we now call modern tanks. There is a perfectly reasonable question: what is the best tank? Each country has contributed to the list of 10 best tanks in the world. After reading this review, you can make your own opinion and determine which tanks, in your opinion, are the best? NOTE: The purpose of this article is not to contribute to the outbreak of World War III. This is only a brief overview of the speed and other characteristics of the best tanks from around the world. So, please, save our world without violence and just have fun exploring the most advanced tanks in the world. Leclerc main battle tank of modern France. 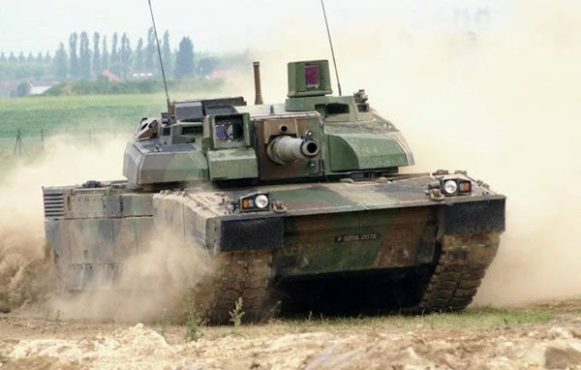 It is equipped with a 120 mm smoothbore tank gun ammunition in the 40 unitary shots. The model is complemented by 12.7 mm coaxial machine gun or M2HB, accommodating as many as 1,100 rounds of ammunition, and a 7.62 mm machine gun with 3,000 rounds of ammunition store. It really is a force to be reckoned with. Merkava — main battle tank, the pride of Israel. 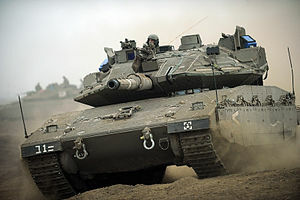 The model has undergone many modifications, the latest version, Merkava-4, today is the most powerful. Its main feature is a 120 mm smoothbore gun MG 253, which is quite capable of using Lahat — ATGM (anti-tank guided missile), equipped with laser homing system. This is complemented by 12.7 mm and 7.62 mm machine guns, and 12 smoke grenades.